In Class 5A the playoff bracket saw some shakes ups last week after the only No. 1 seed in any bracket went down last week when No. 8 Jefferson stunned No. 1 Hardee in Class 5A-Region 3. As such the matchups look a little odd, but there are some decent games nonetheless. This will be the first meeting between North Marion and Zephyrhills since 1972, per Florida high school football historian, Richard Burton … North Marion has also not beaten an undefeated team in the playoffs since 2006, when they bested Bishop Moore that year in Orlando, also according to Burton … Last week North Marion defeated No. 6 seed Menendez, 27-22 … Zephyrhills defeated No. 7 seed Crystal River, 35-0 … The visiting Colts will rely on the legs of Joleeco Gaskin II to help them carry the offense against the tough Bulldogs. Gaskin had 122 yards rushing on 21 carries last week … The host Bulldogs will feature the arm strength of quarterback Doug Crawford who had 223 yards passing on 9-of-16 passes with three touchdowns. No. 6 Bolles (7-4) vs. No. 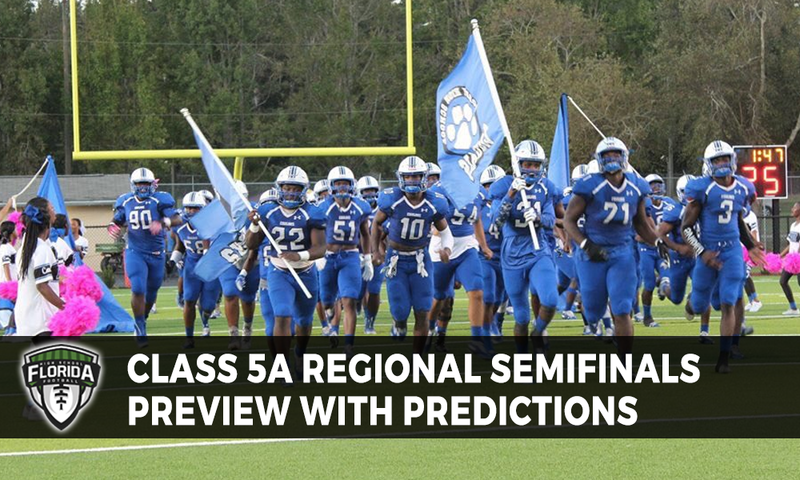 2 Godby (11-0), Thursday, 7:30 p.m. POLL: Who wins Thursday night?